This is the second separate review in the series on the new Adobe CS3 Premium software packages. Before you read this review, you might want to read the review of Adobe CS3 Web Premium and Design Premium. Also, you might want to read the review on Photoshop CS3 Extended. The programs within these suites are all integrated and work excellently with each other. Since this is a review of Illustrator CS3, I will, naturally, describe how Illustrator works - its integration with other members of the suites, its new features, and its workflow and productivity in general. 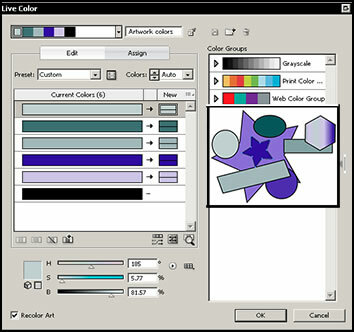 The UI of Illustrator CS3 is similar to Photoshop CS3, InDesign CS3 as well as Flash CS3. Panels can now be docked for easy accessibility. They can be expanded or contracted to show just the icon of the panel or the name as well. The panels can be grouped together or docked singly. The workspace can be customized. Initially, you can choose between workspace presets - Basic, Panel, and Type. Each one shows different combinations of panels. Of course, one can add and subtract panels. Once you are satisfied, you can save as many arrangements as you like and switch between them. You can, now, access libraries from panels which makes for increased speed since they can already be docked on your workspace. 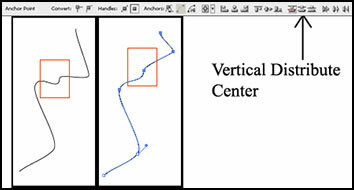 When you are starting a new document in Illustrator CS3, you don't have to start from scratch. Illustrator now has many new templates that you can use from bumper stickers to artist's business cards to environmental bookmarks. As was stated in the Photoshop CS3 Extended review, when In Illustrator, Photoshop files can be directly opened and when in Photoshop CS3, Illustrator files can be opened there, also. 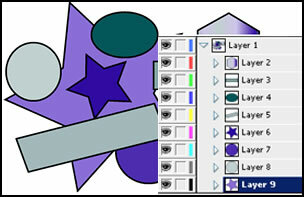 Illustrator CS3 has new and exciting color features. The most publicized feature of this new version is what Adobe calls "Live Color." With Live Color using the Color Guide, Swatches, and the Color panels, you can match anything; change color families; decide on a base color for an image and build other colors around it; or change a color image to three colors, for example. 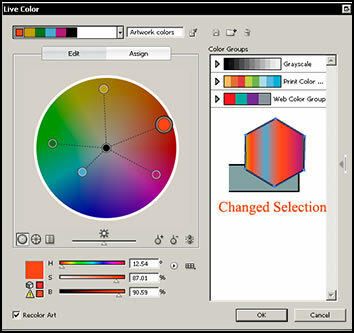 Once color groups are created, they can be saved to the Swatches panel. I created a series of shapes and colored them at random. Then, I selected the orange most shape and made it my base shape and created a series of color tints. Then, I took the blue star and did the same with it. The Color Guide allows for an infinite number of combination from one color such as cool colors, warm colors, tints, etc. If you look at the layers panel and choose the option, Release to Layers, all the various elements will show as being sub-layers of the original layer even though they were all created on one layer. You could write in the names of the colors for identification purposes if desired. Below are pictures of the Color Guide and the Swatches panels. On the latter are folder icons on the left. When I clicked on the one, it showed web colors to go with my original group of colors. 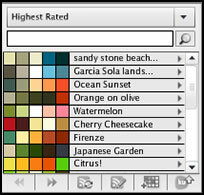 There is a lot more that can be discussed as it pertains to the new color implementations in Illustrator CS3. They are really exciting. Another addition to the new expanded world is the world of "Kuler." Kuler is an online color community whose purpose is to share Color. It has a panel that can be accessed inside Illustrator CS3 and is attached through RSS feeds to the web site. One can become part of the web site by using others color groupings, creating ones, etc. The icons on the bottom of the panel refer to RSS options and uploading capabilities. 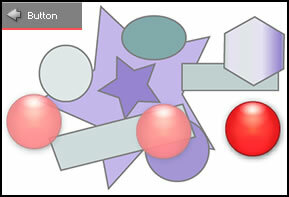 Live Color is the newest portion of the color additions other than Kuler in Illustrator CS3. It is accessed by clicking on the circular icon on the control bar when a selection or symbol is selected. The Live Color, in this example, refers to the selection made with the polygon tool. To change the color of the "polygon" selection, I clicked on Edit and moved the markers in the color wheel. Notice the new swatches which can be saved. I have simplified how this works. Basically, Illustrator CS3 is alive with new color ideas and information. 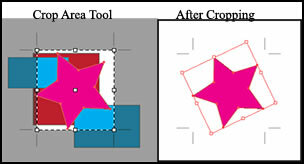 There are a number of new tools in Illustrator CS3. One of these involves the selection of anchor points. These will enlarge when the direct selection tool is moved near them. Also, under preferences, is a "Selection and Anchor Display" category. You can also set criteria for selection and anchor points in preferences and change how they look by using the Control panel under the toolbar. You can also select points with the direct selection tool and, then, reposition them as you like. Below I clicked on the Vertical Distribute-Center. Another new tool is the eraser. One just erases the part of the Illustrator (AI) image one wants to remove and a new one is formed. I love that tool. It is so much easier than having to redraw points. It is hard to see, but new points were created in the image on the right. Adobe has instituted a new working mode called Isolation mode.To work on a symbol in Isolation mode, double click on it with the Direct Selection tool. A button will appear at the top left part of the workspace. Also, the rest of the image will be lightened in color. To undue Isolation mode, click outside the symbol or click the button. 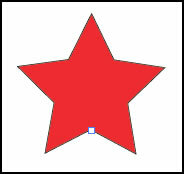 Symbols in Illustrator CS3 can be saved in a number of ways that were not possible in prior versions. This makes using them In Flash CS3 a lot easier. I will speak more about Flash and its integration with other programs when I review it; however, you can import AI files onto the Flash stage, work with Flash text and its options for Dynamic Text, Static Text, and Input Text. This latter is generated by viewer interaction with the Flash animation. When you import an AI file into Flash CS3, you should be pleased at the high level of fidelity. You can also export work done in Illustrator as an SWF file. I can use the Crop Area tool to isolate a selection or group of selections that are on another layer and hide the rest of the layers. Then, I can save that part of the image. The price for a full version is from US $599.00 and for an upgrade is from US $199.00. It can be ordered online from the Adobe store. For more information about Illustrator CS3, go to: http://www.adobe.com/products/illustrator/ And for more information about other Adobe products, go to the Adobe web site. Illustrator CS3 has a lot to offer in new features especially in the area of color and ease of use with its new eraser and improved anchor and selection point control. Its performance was snappy and images moved and changed shape easily and quickly. It is an excellent addition to the suites.